Join Director of Sales Howard Hannemann and Synergy Founder Dan Higginson for this month’s call. These two will be joined by Pearl Executive Marty Holker, the talented leader that delivered one of the most impactful and talked-about BBC presentations. Marty will address the “21 Day Challenge” that he introduced at the conference, and you’ll hear what Dan Higginson has been doing to make that program a part of his life. These monthly update calls are a great way to get the latest news and information from Synergy HQ. Join us on the third Wednesday of each month to stay connected. The information you gather from these calls can be used for the benefit your business and your team. 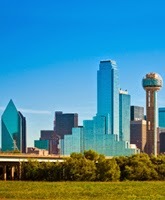 Will you be in the Dallas area next Wednesday? Do you have contacts who will be? If the answer to either of these questions is yes, mark this event on your calendar right away! This event will featuring special guest presenter Mark Comer, Double Presidential Executive and one of Synergy’s top earners. Director of Sales Howard Hannemann is also on board to speak at this event. He plans to take the stage after conducting the Corporate Update Call! Talk about a Big Wednesday! This event will begin at 7 PM at the Hilton Garden Inn Hotel. If you have questions about this meeting, call Juan Carlos at (818) 298-5120. Note that the content of this meeting will accommodate both Spanish and English language speakers.